I am a third-year human physiology major at the University of Iowa on the pre-physician’s assistant track. I am also getting a minor in health and human conditions in order to broaden my knowledge in the healthcare field in terms of ethics and cultural competency. I also recently got married on the 18th of March over spring break and that was a blast. 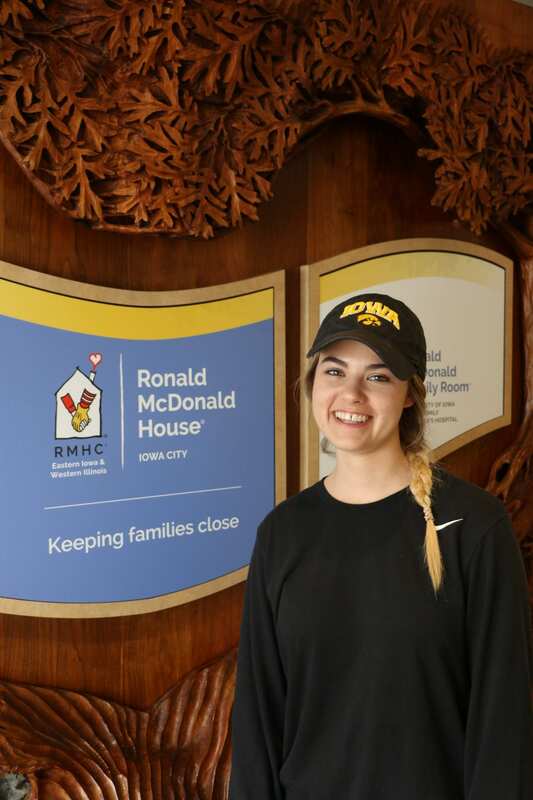 How long have you been an RMH volunteer? I have been volunteering since August of 2018. Why do you volunteer at RMH? I had a close friend whose family needed the House in a time of need, and I wanted to help other families who are going through a hard time in life. What is one of your favorite volunteer memories? One of my favorites was when Jay tried to have tiny me help move the new king mattresses to rooms and then a week later seeing that a bunch of football players were recruited to move them. Apparently he needed much stronger help. What would you tell someone if they were interested in volunteering at the Ronald McDonald House? It is a lot of getting to work with your hands and is a fantastic break if you are a student. It gives me a lot of extra activity in my week instead of constantly studying.